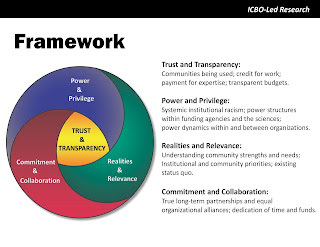 When we started our journey as community researchers, the framework that we developed contained four main themes for creating long-standing partnerships and meaningful collaborations: Trust and Transparency; Power and Privilege; Realities and Relevance; and Commitment and Collaboration. Originally, we believed that each one was distinct. Today, as our framework keeps evolving and becoming stronger, we understand that all of the themes are interconnected and all must be considered when developing and achieving more equitable long-standing partnerships and meaningful collaborations. 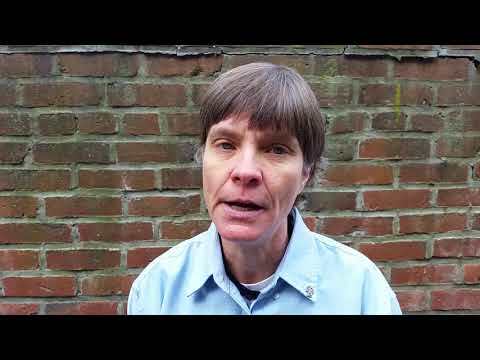 The new image includes many of the recommendations that have emerged from our research. 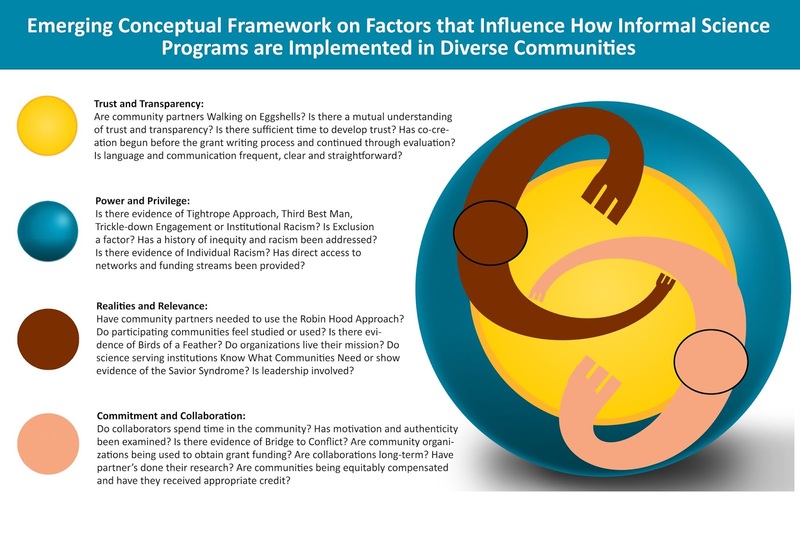 If you work within a community-based organization or with a large informal education institution and you are interested in “Building Meaningful Collaborations” this workshop is for you! 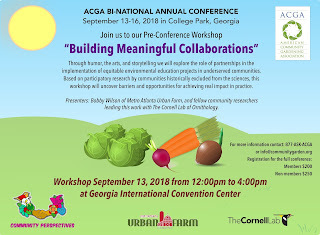 Join us at the American Community Gardening Association Bi-Annual Conference in College Park, Georgia from September 13-16, 2018. Our pre-conference workshop will be held on September 13 from noon to 4:00 pm at Georgia International Convention Center. Through humor, the arts, and storytelling we will explore the role of partnerships in the implementation of equitable environmental education projects in underserved communities. Based on participatory research by communities historically excluded from the sciences, this workshop will uncover barriers and opportunities for achieving real impact in practice. 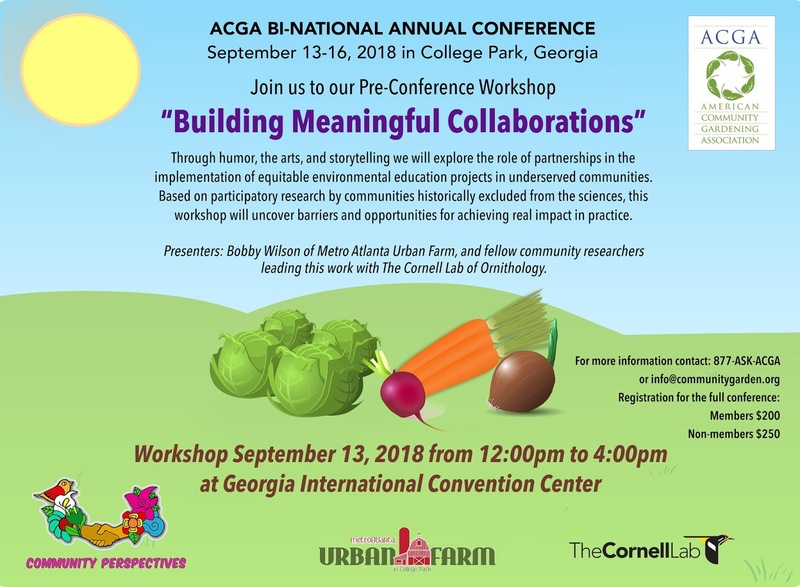 Presenters: Bobby Wilson of Metro Atlanta Urban Farm, and fellow community researchers leading this work with The Cornell Lab of Ornithology.